After months of diplomatic wrangling and ‘appeasement’ bargaining, war erupted when Germany invaded Poland. Germany’s Blitzkrieg offensive, which plunged Europe into conflict, heralded a new and dramatic style of modern warfare. Although there was no Allied advance into Germany in Western Europe, fighting flared up on the Eastern Front between the Soviet Union and neighboring Finland. A German force of 53 divisions, supported by 1600 aircraft, crosses the German and Slovak borders into Poland in a pincer movement. Plan White, directed by General Walther von Brauchitsch, aims to totally paralyze Poland’s 24 divisions by swift encirclement, thus cutting their lines of supply and communication. While Poland mobilizes its full strength, its forces in action, lacking both air and armored support, are largely placed on the country’s borders. They are quickly overrun, and reinforcements often arrive too late to halt the German attacks. Ultimatums are delivered by Britain and France to Germany demanding its immediate withdrawal from Poland. Britain and France declare war on Nazi Germany after their ultimatums regarding the invasion of Poland expire. Australia and New Zealand also declare war. British Prime Minister Neville Chamberlain forms a war cabinet, which includes prominent antiappeasers First Lord of the Admiralty Winston Churchill and Secretary for the Dominions Anthony Eden. The liner Athenia is sunk by the U-30 after being mistaken for a British auxiliary cruiser, claiming 112 lives. Britain’s Royal Air Force (RAF) Bomber Command launches its first attacks against Nazi warships in the Heligoland Bight off northwest Germany, but the government will not authorize raids on targets within Germany. Prime Minister Jan Christiaan Smuts declares war on Nazi Germany following the formation of a new cabinet after political disagreements over joining the conflict. The authorities officially proclaim their neutrality. The Polish government and high command leave Warsaw and order their forces to withdraw to the line of the Narew, Vistula, and San Rivers. Nazi troops make a dramatic advance that reaches beyond Lódz. They also seize Cracow in the south. France begins minor skirmishes across the border with Germany near Saarbrücken. Britain’s first convoys sail across the Atlantic. The system is already operating on Britain’s east coast to protect merchant ships from U-boat attacks. The German Tenth Army led by General Walter von Reichenau reaches the outskirts of Warsaw, the capital. General Wilhelm List’s Fourteenth Army reaches the San River around Przemysl, while General Heinz Guderian’s tank corps reaches the Bug River to the east of Warsaw. A Polish counterattack is launched by 10 divisions, which gather around Kutno under General Tadeuz Kutrzeba. 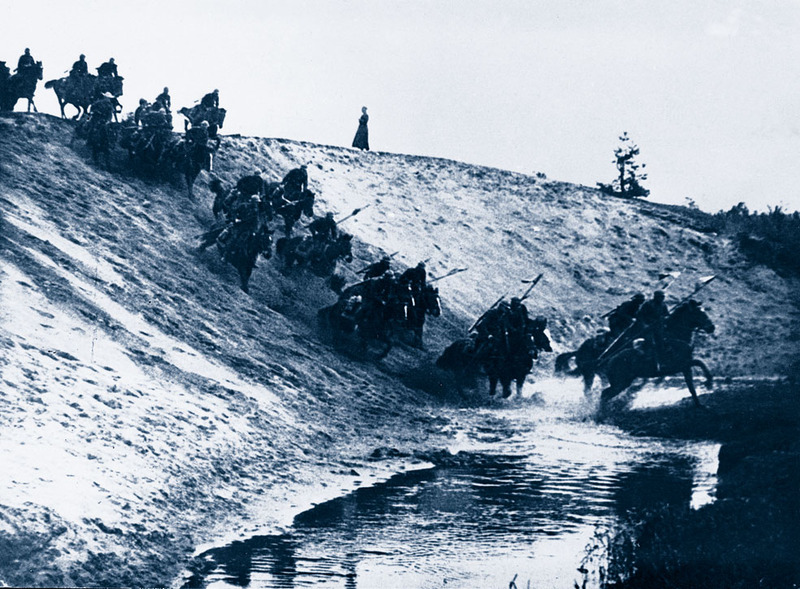 The attack over the Bzura River against Germany’s Eighth Army is the most effective Polish offensive of the campaign, but only achieves short-term success. Major elements of the British Expeditionary Force, led by General Lord Gort, begin to land in France. Some 160,000 men and 24,000 vehicles arrive throughout the course of September. Prime Minister Edouard Daladier forms a war cabinet and takes additional responsibility for foreign affairs. Warsaw’s defenders are encircled but refuse to surrender until the 27th. Elements of Germany’s Fourteenth Army west of Lvov are still locked in battle, while other units advance to join General Heinz Guderian’s units in action along the Bug River. The British aircraft carrier Courageous is sunk by U-29 during an antisubmarine patrol off southwest Ireland. 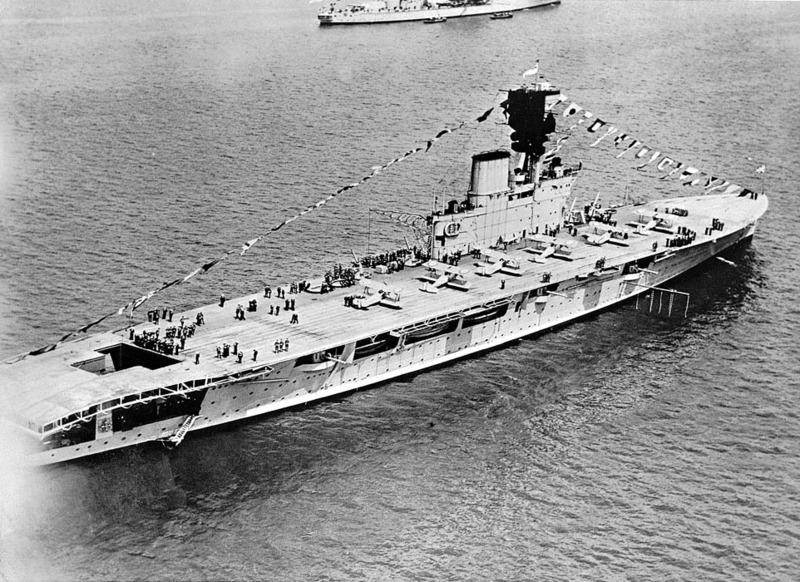 The aircraft carrier Ark Royal has managed to escape a similar attack just three days beforehand. The naval authorities act quickly and withdraw Britain’s aircraft carriers from such duties to preserve these valuable vessels for other maritime roles. In accordance with a secret clause in their 1939 pact with Germany, the Red Army invades. 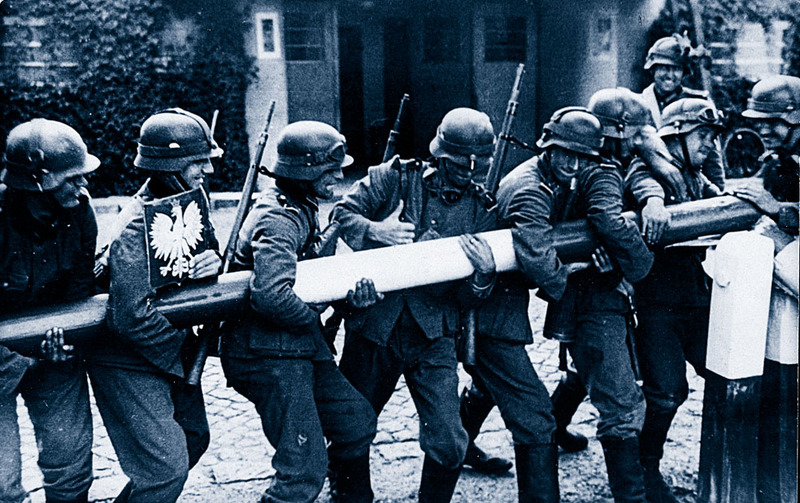 Little resistance is encountered on Poland’s Eastern border as the Polish Army is fighting for its life to the west. The Polish government and high command flee to Romania, only to be interned. A government-in-exile is formed and many fighters escape to join the Allies. Poland is split into two zones of occupation divided by the Bug River. Germany has lost 10,572 troops and the Soviet Union has 734 men killed in the campaign. Around 50,000 Poles are killed and 750,000 captured. A local fascist group, the ‘Iron Guard,’ assassinates Romanian Prime Minister Armand Calinescu. Adolf Hitler’s senior commanders are told of his plans for a western offensive at the earliest opportunity. This announcement is met with hostility by the military, who resent Hitler assuming direct control over strategic planning and also feel unprepared for this undertaking. His plan for invading the Low Countries, formulated as Plan Yellow on October 19, is constantly aborted due to bad weather. The plan is also modified and its objectives widened before the actual offensive in 1940. After occupying Poland, the Soviet Union concentrates on extending its control over the Baltic Sea region to safeguard against any German threat. During the next few weeks it gains bases and signs ‘mutual assistance’ agreements with Lithuania, Latvia, and Estonia. Finland, however, will not agree to the Soviet Union’s territorial demands and mobilizes its armed forces in October as political dialogue fails to resolve the crisis.